The principal of P.S. 18 in Inwood fired teacher Madeline Luciano after she let a student write on a chalkboard the reasons why eighth-grade studets didn't like a particular classmate. INWOOD — A city teacher got the ax for having her eighth-grade students write on a blackboard all the reasons why they disliked a classmate. Madeline Luciano was fired from P.S. 18 in Inwood after city investigators say she devised a bizarre class assignment in which students wrote that their 13-year-old female classmate was ugly, annoying and a phony. Luciano only told the students to stop when the girl started crying, according to a report by the city Department of Education's Office of Special investigations. The school's principal, Connie Mejia, fired Luciano in October after investigators concluded in their report that the teacher committed employee misconduct and recommended Mejia take "appropriate disciplinary action." Luciano, who lives in University Heights, is now fighting to overturn her termination, claiming in a petition filed in Brooklyn Supreme Court that the penalty was too harsh and her firing was "an abuse of discretion" by Mejia. The petition, filed last week, asks a judge to repeal the DOE's denial of her security clearance, which bars her from getting a job at another city school. The OSI report says that Luciano came up with the absurd assignment on June 4, 2014, when the 13-year-old girl came back to her classroom after dropping off paperwork to Mejia. When the student returned, she noticed her school bag was missing and told Luciano. The teacher and the girl, who had complained in the past about bullying, eventually found the bag turned inside out with the pages of her student portfolio torn. Luciano told investigators that she asked the class what happened, and many students responded that they didn't like the girl, calling her "annoying" and "stupid," according to the report. The teacher said she then told students "to write a letter, as an assignment, indicating why they felt this way." 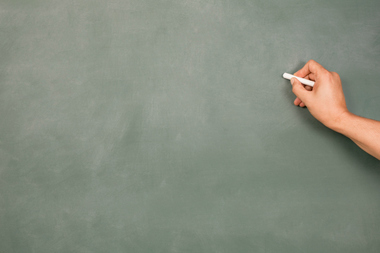 Luciano claimed that she never told students to write their responses on a chalkboard, but one student got up and started jotting down the class's comments. However, students told investigators that Luciano asked for a volunteer to write down the responses on the board as students shouted them out, the report says. "Everybody started screaming a lot of bad stuff," one student told investigators. One student told investigators that the complaints about the girl included her "attitude and how fake she is around people." The student who wrote the responses on the chalkboard recalled someone saying she was an "ugly person" and "that she annoys people," according to the report. Luciano told investigators that she stopped the exercise when the girl started crying and she realized the assignment was inappropriate, according to the report. The student who was jotting down the class's comments then erased the board and wrote "sorry." Luciano said she then told the class that "they needed to work as a team and that they needed to treat each other with love," the report says. Luciano started working for the DOE as a teacher in September 2010. She would have completed her probationary period in September 2014, but because of the incident she was denied her certification of completion of probation. At the time of her termination, she made nearly $72,000 a year. Her petition says she's currently collecting unemployment insurance because a state labor board ruled that Luciano was eligible for the benefit after determining the DOE did not establish she committed misconduct. Luciano is eligible to reapply for security clearance with the DOE in December 2015, but until that time, she can't get another teaching gig, the petition says. Her record of misconduct would also be reviewed as part of any application for future employment. The DOE declined to comment because Luciano's case is in litigation. The city Law Department said Wednesday that the petition is currently under review. Luciano's lawyer, Ariel Velez, did not respond to a request for comment.